Harmony Repositories is a technology that enables the user to have a Repository in Git and Mercurial at the same time. 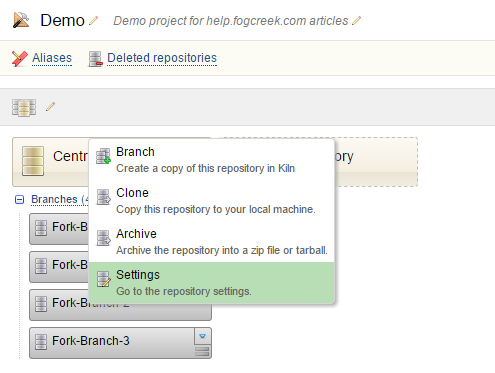 This is a deprecated feature (still works on older versions), but we have retired support for Kiln Harmony. 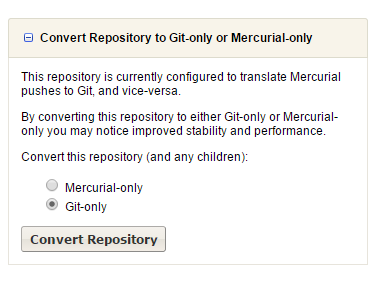 We will continue to support Mercurial and Git repositories individually, but not both for the same repository, so you might need to convert Harmony repos to either Mercurial or Git. For customers and users who are still using Old versions of Kiln installed on their servers still have this feature enabled. If you are upgrading, consider disabling Harmony and converting your repos or contact support for further assistance. To disable Harmony, go to one of your projects. This project has a central repository named “Central-Repository” and a set of child repositories that were forked/branched from the parent. 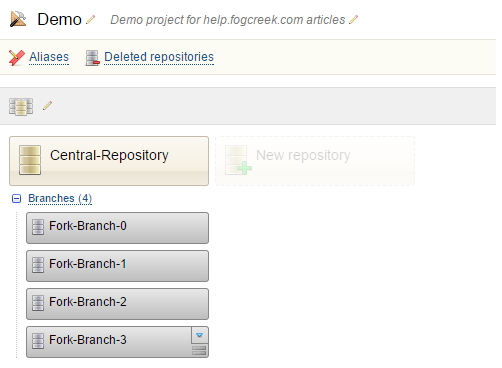 Find the ‘central’ repository that you want to disable Harmony for, and go to its Settings page. 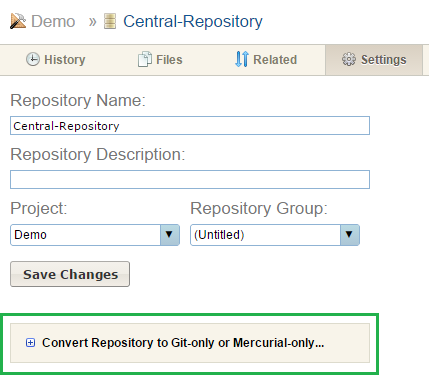 Click on the “+ Convert Repository to Git-only or Mercurial-only” option. When you click on ‘Convert Repository’ you’ll get one last confirmation dialog. Notice that this action will also turn harmony off on all of the fork/branches that are children of this repository in the UI. Now, ‘Central-Repository’ is Git-only, and so are all of its direct children.